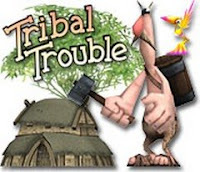 Tribal Trouble is a realtime strategy game designed to be easy to grasp, yet difficult to master. 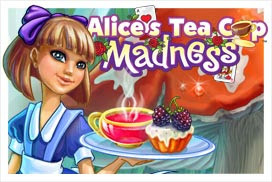 While the game mechanics only take a few minutes to learn, it can still be quite a challenge to beat your opponents: To win, you are going to need some skills in planning strategies and utilizing the varying terrain for successful tactics. Endless variation. Graphics card = NVIDIA Ge Force/Ge Force 2 MX, ATI Radeon 7200 or similar (NVIDIA GeForce 2 Ti, ATI Radeon 7500 or similar recommended) with 32 MB video memory (64 MB recommended). Full OpenGL 1.2 support required.